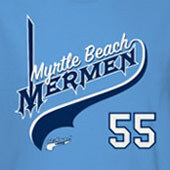 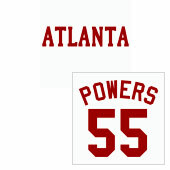 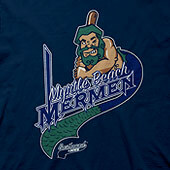 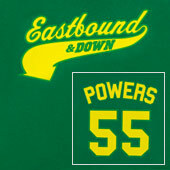 Kenny Powers jersey t-shirts with new team Myrtle Beach Mermen, Atlanta, or Charros on the front, and “Powers #55” on the back of the tee. 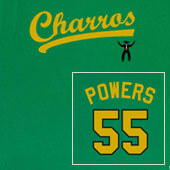 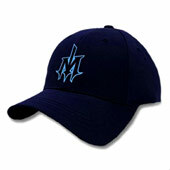 A baseball style button-up jersey is now available with the show logo. 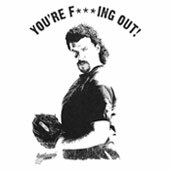 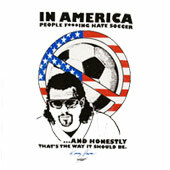 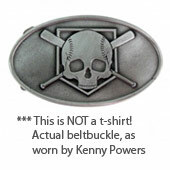 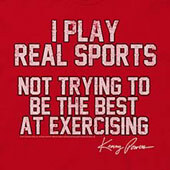 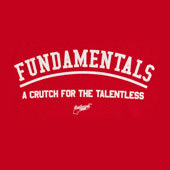 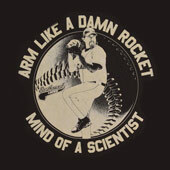 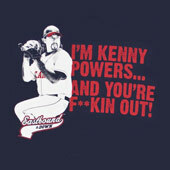 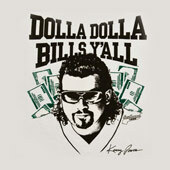 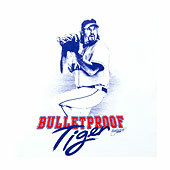 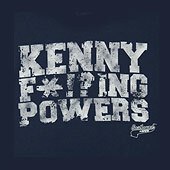 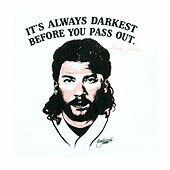 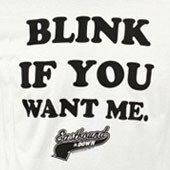 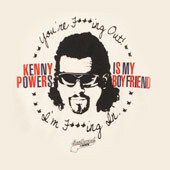 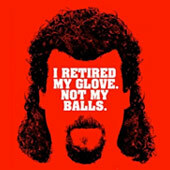 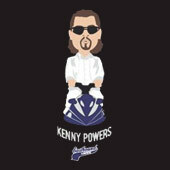 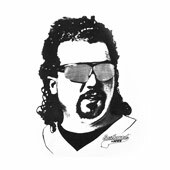 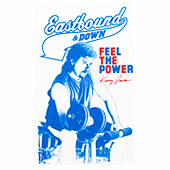 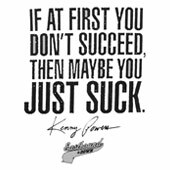 Kenny Powers t-shirts in a variety of likenesses, with the most popular quotes / “Powerisms”.